Homes for sale in Painted Desert, Las Vegas have the privilege of surrounding the city’s pioneering desert-style golf course. 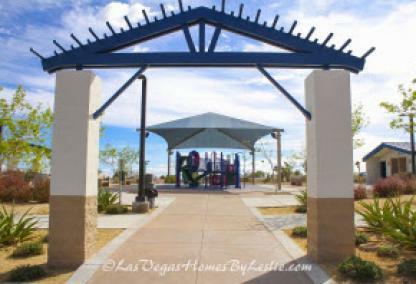 Painted Desert is a guard-gated community in the northwest part of the Las Vegas Valley. The community offers a variety of different home types and is close to excellent recreation opportunities including the spectacular Red Rock Canyon conservation area… [Read more]. 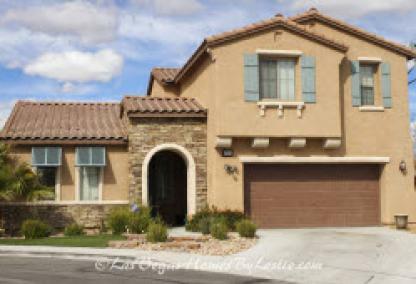 Painted Desert golf course homes come in styles and sizes to suit every taste and budget. The beautiful Painted Desert Golf Course is the centerpiece of the neighborhood and provides the backdrop for the luxury estates, duplex style villas, condominiums of all sizes, and the new custom homes that are available in the community. 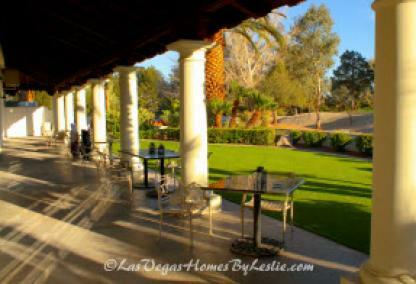 Many homes have views of the course’s breathtaking mix of desert and traditional green landscaping. Painted Desert is located in the 89149 zip code. Painted Desert residents are close to a variety of amenities including golf, dining, and shopping right in their own backyards at the Painted Desert Golf Club. 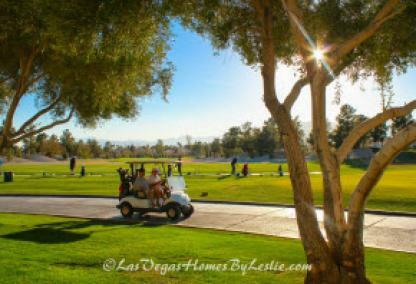 The pristine course and club is constantly rated as one of the best public venues in all of Las Vegas. The restaurant serves reasonably priced American fare including breakfast, lunch, dinner and appetizers. Popular menu items include the Painted Desert Omelet, Chipotle Chicken Quesadilla, Bacon Caesar Salad, and Chicken and Rice Plate. One of the most celebrated public courses in Las Vegas, Painted Desert Golf features esthetically pleasing contrasts of lush green fairways and desert areas that add to the overall golf experience. Native cacti and numerous lakes delineate tee boxes and fairways. Strategically placed bunkers litter the course providing a challenge to golfers of all levels. The 18-hole championship course designed by Jay Morrish was built in 1987 and is open year-round. Separate putting greens and a driving range are located on the property allowing members and guests to work on their game. The course is shorter than some and is known for tight fairways and lightning fast greens. Dozens of restaurants are conveniently located in close proximity of Painted Desert real estate. Cheap eats, moderately priced locations and fine dining are all available, allowing residents to enjoy a variety of meals regardless of occasion and budget. Highly rated restaurants include In-N-Out Burger, North End Pizza, Chipotle Mexican Grill, Novecento 900 Pizzeria, and Einstein Bros Bagels. People looking for mouth-watering bagels, sandwiches, and beverages will love Einstein Bros Bagels. In addition to freshly made bagels in dozens of flavors, Einstein Bros specializes in tasty breakfast and lunch items such as their Cinnamon Toast Egg Panini, Cookie Crumble Latte, and Southwest Turkey-Sausage Eggwhite Sandwich. The widely popular Cinnamon Toast Egg Panini is made fresh each day, and features lightly baked Panini bread with a hint of cinnamon flavor combined with sharp cheddar cheese, thick-cut bacon and farm fresh eggs. Painted Desert homes for sale have access to several health care organizations and professionals readily available to care for area residents. The largest health care provider in the approximate are is Centennial Hills Hospital located on North Durango Drive. The five year-old hospital provides comprehensive health care for men, women and children. The 177-bed hospital features a woman’s center, emergency room, intensive care unit, outpatient and inpatient surgical services, and ancillary specialty care. 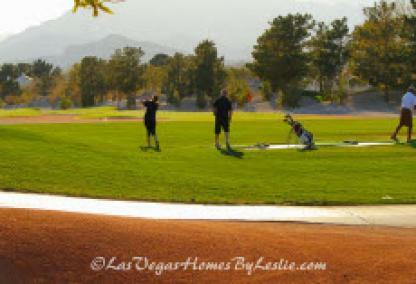 North Las Vegas is home to several recreation options – especially for outdoor lovers. The Painted Desert community is close to Floyd Lamb State Park, Red Rock Canyon, and Mount Charleston. Skiers and snowboarders will particularly enjoy Mount Charleston resort with its powdered runs perfect for skiers and snowboarders of all levels. Yoga and martial arts enthusiasts won’t go without as Northwest Yoga Studio and Champion Martial Arts are located just blocks from Painted Desert. Champion Martial Arts features a variety of disciplines and skill levels for people of all ages. 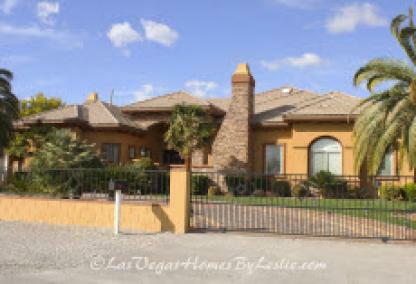 Convenient shops and services makes Painted Desert real estate a popular North Las Vegas choice. TJ Maxx and Kohl’s, located on Durango Drive, offer affordable and stylish clothing and household options. Major retailers such as Walmart Supercenter, Target, Sam’s Club, and Kmart offer residents household goods, food, and clothing.